Many people think that prefabricated modular buildings are of a lesser quality than traditional structures. This isn’t true. In fact, our modular buildings are at least as stable as traditional buildings. Additionally, you get the benefits of a steel structure which requires less maintenance than a brick and mortar building. Modular building systems are particularly beneficial for industrial uses because steel withstands a lot. You won’t have to worry about molding, rotting or warping. Additionally, steel is waterproof which makes it a safe harbor from the elements. Because industrial work often kicks up a lot of dirt and grime, this type of building is ideal because it’s easy to clean. We offer modular buildings for sale. Our buildings are available in many sizes from small guard shacks to church-size buildings. The flexibility these buildings offer are great for businesses that have just started out as well as businesses that are more established. Metal modular buildings offer a cheap, convenient option that offers minimal impact on the environment. As a business owner, when you construct additional space, sometimes you have to worry about impacting the neighborhood and traffic. But, because your structure is precut and drilled offsite, the actual onsite construction is minimal. This saves impact on the surrounding environment and allows you to keep a clear working environment until your building arrives. 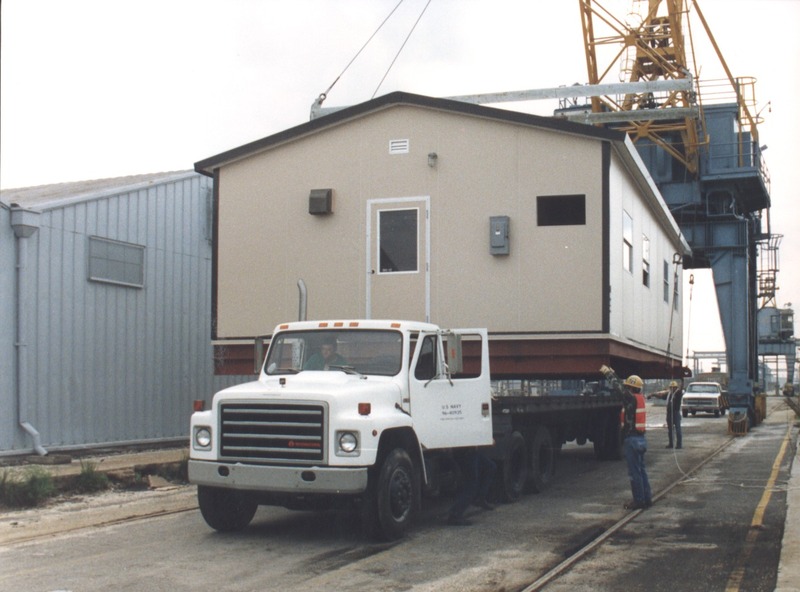 One of the biggest benefits of a prefabricated modular building is that they are affordable. You can find cheap modular buildings for sale online which means that you won’t only save money, you’ll save time too. Shopping for industrial modular buildings online for sale is a great way to save time and money. A panel built metal building is beneficial for businesses that need a building that is efficient, reliable and cheap. Because many of the components that will be used to create your building are mass created at our factories, you save a lot of money on labor and overhead. Additionally, this process also means we can help you get your building functional, faster. Modular units are fast and easy to set up but that doesn’t mean they are all the same. We offer different features so that you can personalize the space if you need to. But, we also provide basic set ups for companies that need a quick and simple solution to their space issues. These units are particularly flexible because the modular structure allows us to rearrange things according to your specifications. In addition, you may choose to purchase a mezzanine system which will further allow you to maximize the space you have. Gone are the days when you have to visit a store and spend hours meeting with contractors and engineers. You can know purchase your building online. At Panel Built we provide the information you need to find the right building for your lot. When you need to purchase industrial modular buildings, let us help you find the right product. Panel Built offers the best available metal buildings online. You can easily contact our customer service agents and technicians with any questions. We are more than happy to work with you to add personal touches or answer any questions you have about your new building. When you need to know where to find metal buildings for sale, let Panel Built help. We can ensure that your building meets or exceeds your expectations. With almost 20 years or experience in the industry, we know how to make our customers happy. We offer the best panel built buildings online. There are many companies that sell prefabricated modular buildings, but we have the experience and skills necessary to provide one of the best products on the market. The most obvious benefit is that this type of structure provides flexibility. Many of our structures can be picked up or disassembled and transported to a new location. For businesses that could potentially relocate, this can save you a lot of money. The second benefit is that because our buildings are designed and built to be moved, the structure is required to meet strict industry standards that surpass most local building codes. This means that not only will your new space meet local codes; your workspace will likely be even sturdier than other traditional structures in your community. Your business is important to you, which means it’s important to us too. If you are looking for a convenient, reliable, affordable way to add additional workspace to your business, choose Panel Built. To learn more about the structures we offer, available custom options and shipping details, contact our customer service representatives today.